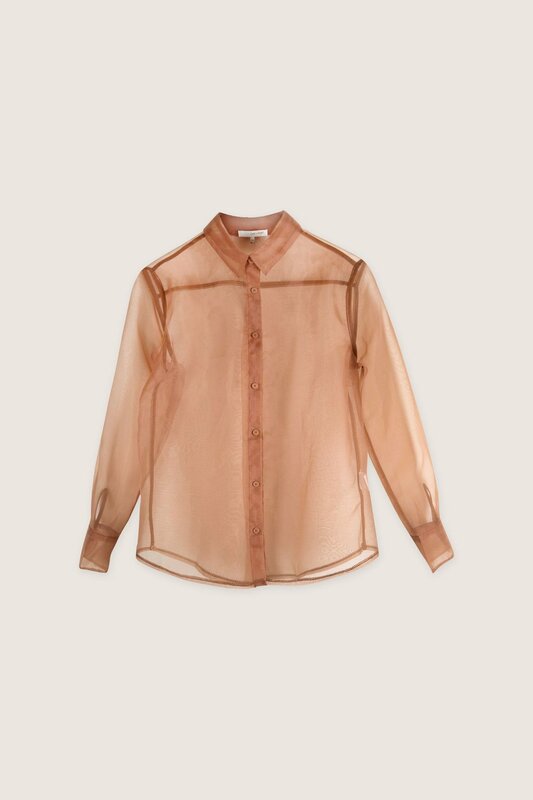 Made of an organza-like fabric, this shirt comes in a light brown hue that is perfect for layering over delicate tanks and bralettes. 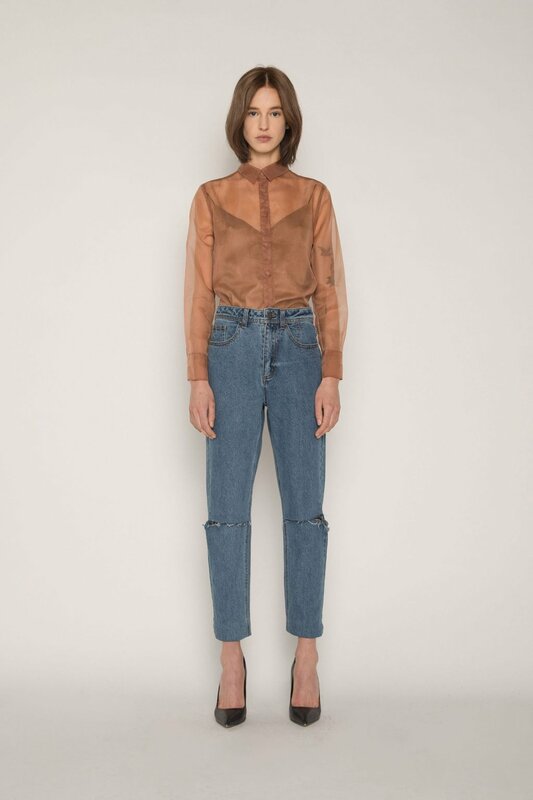 Made in a classic shirt pattern, this piece can be styled in many different ways to achieve different looks. 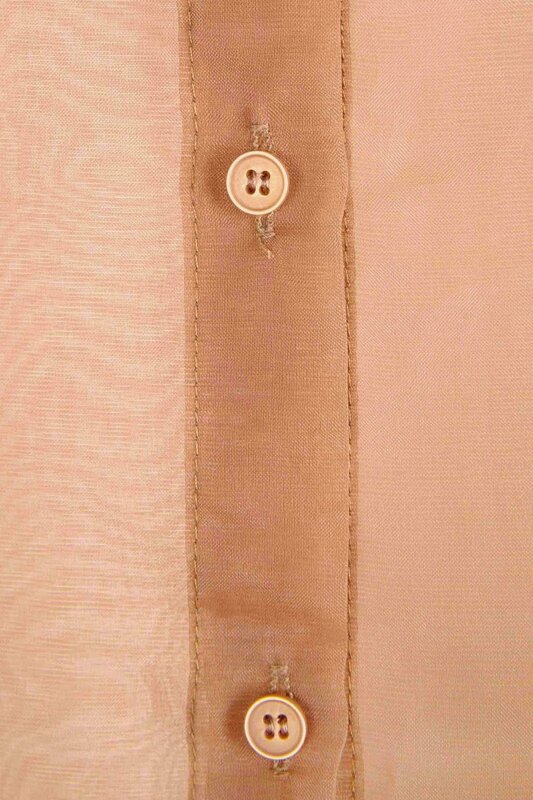 Wear this slight unbuttoned over a delicate lace bralette and pair with high waisted trousers and heels for a demure evening look.